This is such an important event. Graham Barnes will be the keynote speaker. What is now called the SE Institute started off as the brain child of Graham’s. He began his work in Virginia by founding the Institute for Racial and Social Justice. From the very beginning he trained therapists with an emphasis on how to help changes racial and social perceptions through psychotherapy. He also decided that one of the best ways to change racial perceptions was by influencing fundamentalist evangelical preachers since they had the ear of a significant portion of majorly white congregants. He figured if he could change their perceptions, they would pass that on to their congregations: “And God knows if you voted for that racist candidate for sheriff last week.” I had the pleasure of helping train some of his early aspirants. They would audio tape their work and send me a fifteen minute segment. I would listen to their tape while rerecording it inserting my own comments as supervision. His students were in Virginia, I was in CA. Worked well. One vignette I remember is telling. He worked with these people who had a pretty literal view of things. On one occasion Graham asked one of these preachers to put his mom and dad out on a chair and tell them how angry he was with them. The man responded he couldn’t do such a thing because in the Bible it said to honor your mother and father. As I understand the scene, Graham responded without hesitation, “Yes, and the way you honor them is by being honest with them!” He was a treat to see and hear then and he will be in 2019. This is an important event. And you cannot say enough about Van and Shelly Joines and the work they have done along with their outstanding faculty all these decades. I will be there and hope to give a presentation on resolving injunctive messages. Thanks John for the background story – you have a very engaging writing style. So important to know about the work of people who set the stage for us. Thank you John! You always have such an interesting perspective to add, also the history! Hoping a new future for TA. Congratulations and thank you for the event. Looking forward to being there and also leading a TEW afterwards. Great news to know that we are going to have again an ITAA conference in this continent!!! I appreciate a lot the contribution of USATAA, hopping that many more people from Mexico, Latin America, and other countries around the world may join with their own knowledge in the celebration of the 50th Anniversary of the Southeast Institute. I am willing to contribute in any way possible. Warm regards and best wishes to all. TA has been doing amazing work with so many issues around the world, which is very time appropriate. I wish every success for the upcoming Jamaica conference! I hope I will be at the auspicious event (2019 Conference) to sit my CTA exam. I plan to attend. 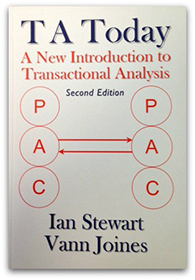 Van’s contributions and staying power of TA has been an inspiration to me. I wouldn’t miss it. Afectuoso Saludo, Felicitaciones por tan magno evento. Espero verlos pronto. Affectionate Greeting, Congratulations for such a great event. I hope to see you soon. Greetings to all my TA friends. It’s great to hear we will have an ITAA/USATAA 2019 conference in N.C. , 7-31 to 8-3-19. I plan to attend and to propose a presentation. 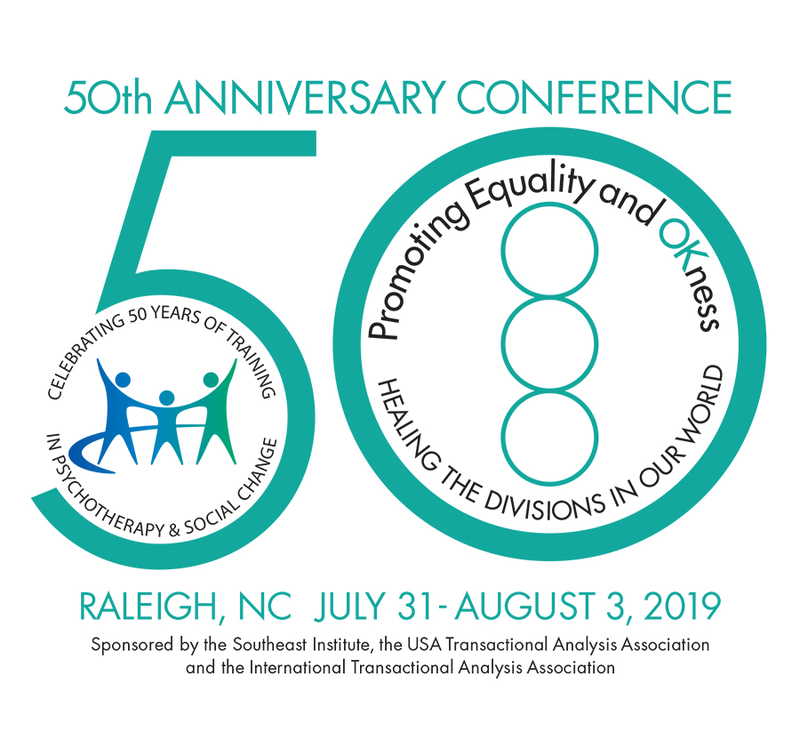 I am happy to know that 50th anniversary of Southeast Institute go along with ITAA ,USATA conference in Raleigh,NC. on July 30th to August 3rd. I am very much looking forward to meet old friends and TA colleags. Many Japanese TA people are planning to join. Some Japanese CTA candidates will take the exam. I want be there and enjoy the conference after I say Hello to old freiends. What is the period of sending scientific papers to be presented at the congress? Proposals are due by January 31. 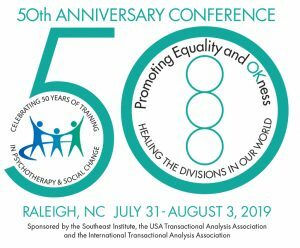 This conference promises to be an amazingly unique mix of advanced TA research and new approaches to fundamental principles of inclusivity and equity in action. For so many years the social psychiatry and cultural change applications of TA that Berne underlined many times has been under-emphasized and under-researched, with the exception of colleagues such as Denton Roberts, Mary and Bob Goulding, Vann Joines, Felipe Garcia, Valerie Batts, and Graham Barnes. Are there others I am fogetting?